Light. It is a crucial part of life itself, and the very essence of art in general and photography in particular. Yet too much light—or the “wrong kind” of light—will result in light damage that will hasten the fading, discoloration or even the destruction of practically ALL artworks, photographs, works on paper, books, fabrics, documents, and just about any other item you have in your collection or your family archive. To prevent, or at least limit, the amount of light damage your art or artifacts sustain, it’s important to have a general understanding of both the dangers of light damage and the easy, do-it-yourself solutions that are available. Actual snapshot of the PERFECT display and storage environment for your art, photographs, documents, genealogical records, furniture, and everything else you own. Yup, its total and utter darkness, folks. Since most of us prefer not to live in the dark, at least not literally, there are a few things you should know regarding the dangers of light damage before you go about displaying and storing your art, collections, and family or genealogical archives. 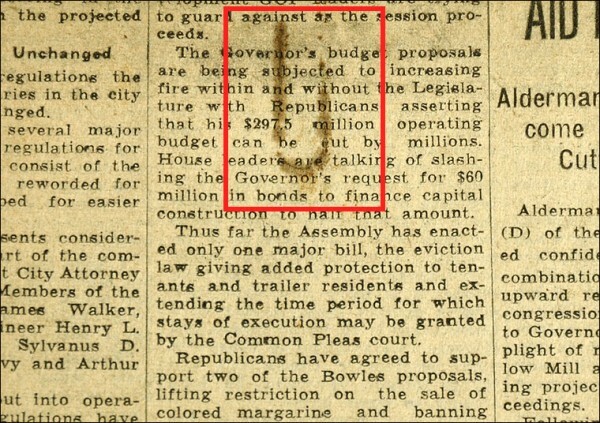 on the newspaper clipping on the right. Well, first things first. What can wreck your stuff? Sure, water damage / fires / thefts / improper handling (paperclip, anyone?) / mold growth—even the wild temperature and humidity fluctuations of that storage space in your attic or basement—all can damage or destroy your personal or family treasures. But LIGHT??? Sure enough! 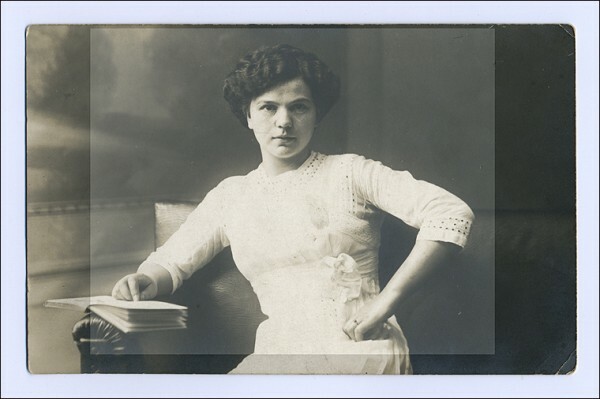 The black & white photograph on the left, c.1910, was behind a mat in a frame for over a century. 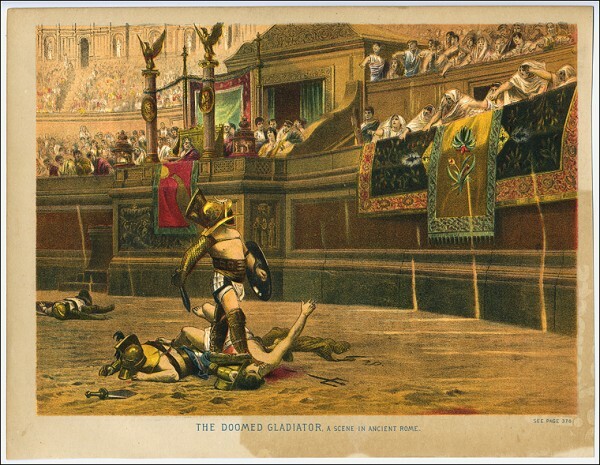 When the mat was removed it was clear that there was both more detail in the original photograph and that significant fading had occurred in the areas exposed to light over all those years. The more recent color photograph on the right dates from the 1970s and was also in a frame for decades. It exhibits the washed-out colors typical of over-exposure to light. This is one of those moments when you realize that one of your best friends—the great, literally life-giving properties of light—can also be one of your worst enemies. 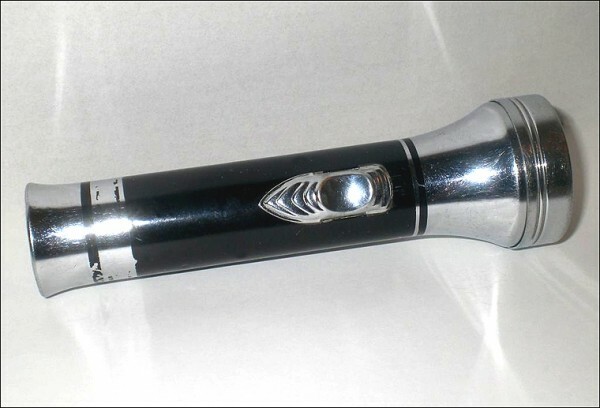 Ultraviolet Light – radiation having a wave-length beyond the visible portion of violet in the spectrum. Sunlight is a common source of ultraviolet light. Ultraviolet radiation is potentially damaging to all works on paper, photographs, library and archive collections, museum objects, leathers, household fabrics, and collectibles (and skin without sunscreen!). It is more pronounced in sunlight and fluorescent light than in incandescent light. UV Filtering Materials – used to filter the ultraviolet (UV) rays out of visible light. Removing UV radiation from storage and display areas can reduce the rate of deterioration of stored or exhibited objects and artifacts. While UV filtering material is often placed over windows or fluorescent light tubes in museums, practical “home applications” are also available in the form of acrylic sheets with UV filtering properties that can be used instead of glass when framing artwork and photographs. Simple Placement – if UV light, especially sunlight, is one of the most important things to protect against (after fire, water and theft) then simply avoid it. Do not hang framed artwork on a wall that will receive direct sunlight. The same rule applies to your collection of old books, your valuable antique furniture, your displays of collectibles on shelves, etc. 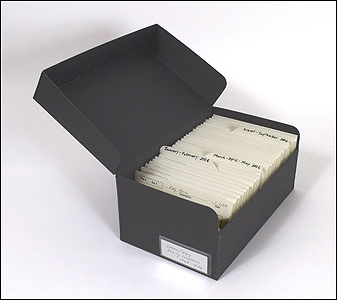 Darkness – when storing your collections make sure they are in the right type of archival enclosures and placed in an opaque acid-free box. 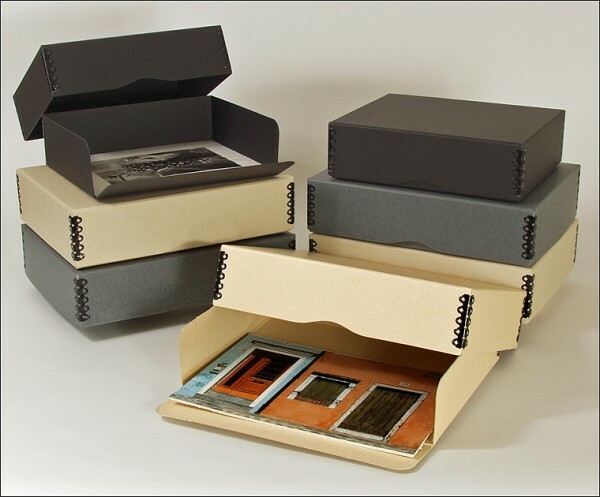 Then take the next step and store these archival boxes in a cool, dark, dry place (such as a closet) in your “living space” within your home, apartment or office—NEVER in your attic or basement. As mentioned above, the wide variations in temperature and humidity in attics and basements can be detrimental to archival survival, and basements can flood either naturally or from a leaky water heater, while attic roofs can leak. 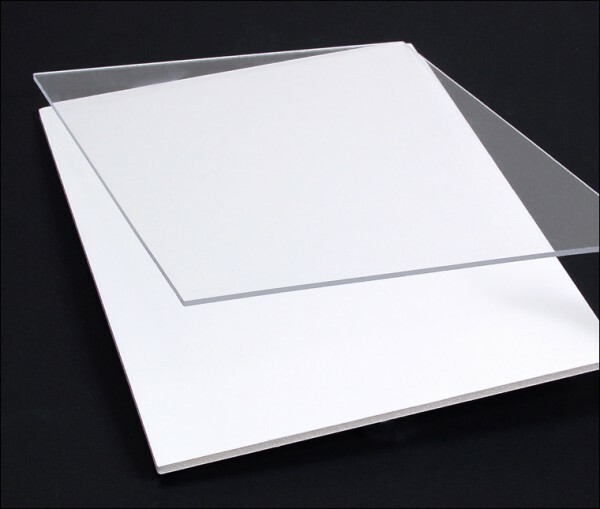 UV filtering Plexiglas UF-5 and Acrylite OP-3 are two lightweight, shatter-resistant acrylic sheets that can be used instead of glass in your picture frames. Each sheet filters out 98% of UV rays to protect your artwork from harmful ultraviolet light that can fade your images over time. Gallery 12 Wood Frame kits are available in a variety of sizes—each with the added bonus of UV filtering—and all you need is a phillips-head screwdriver to do your own framing of your matted artwork. The kit includes a solid wood frame in either natural clear maple, satin black or satin white, and comes with a sheet of Acrylite OP3 UV filtering acrylic, 1/8″ acid-free foamboard backing, hanging hardware, and picture wire (standard pre-cut and custom mat cutting is also available, see details here). 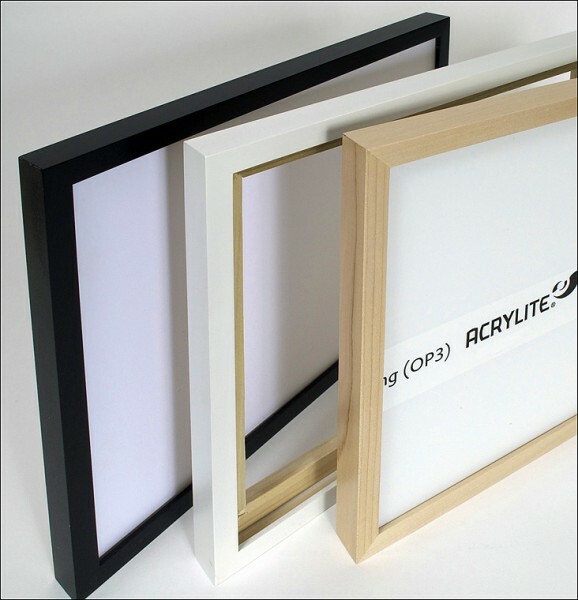 These frames offer excellent UV filtered protection, and are easily re-opened to access your artwork as needed. The book in the left-hand photograph sat on a shelf next to a smaller book that partially shielded it from the harmful effects of light. 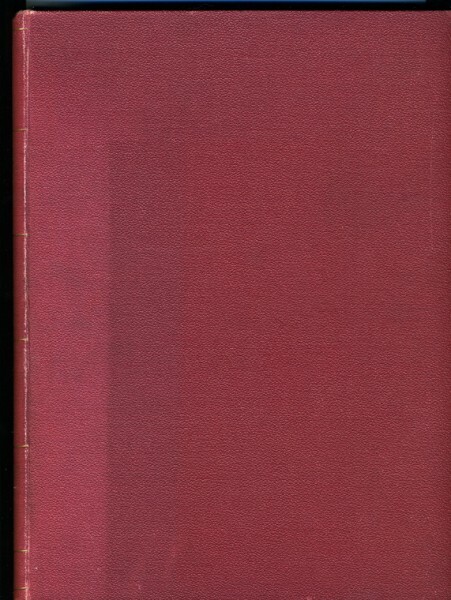 The area where the cover fabric has faded is clearly visible, leaving a permanent “ghostly” shadow of the smaller book. Yet perhaps the biggest problem here is actually NOT the color change, but rather the weakening of the cover and spine materials holding the book together. These are the invisible effects of unchecked light damage, invisible until the book falls apart in your hands that is. To archivally store old books place them in an appropriately-sized polyethylene bag and then into an acid-free storage box (please click here to see our detailed and helpful blog on archival storage boxes for objects and artifacts). Just as book binding cloths and leathers are susceptible to light damage, so are practically all other types of fabrics. To prevent this, consider preserving old fabrics and textiles with an all-in-one textile storage kit. A light damaged photograph and the all-in-one 4×6 Archive Kit it should go into once it has been scanned and reprinted. 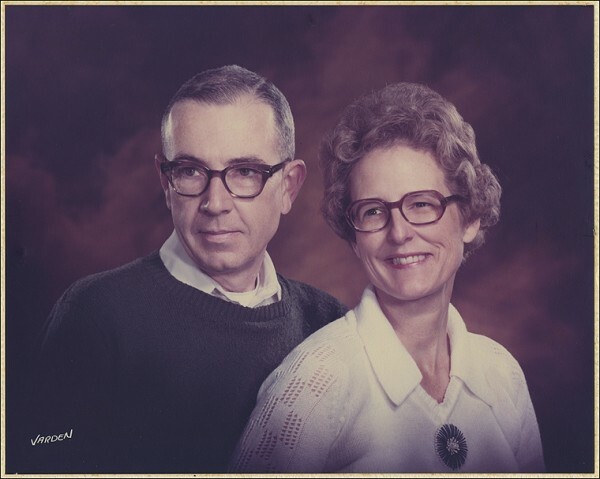 To remedy what ails this vintage black & white photograph, it would be best to take it to a reputable photo restoration lab to have it scanned, color and density adjusted, and reprinted for framing or for the family archive. 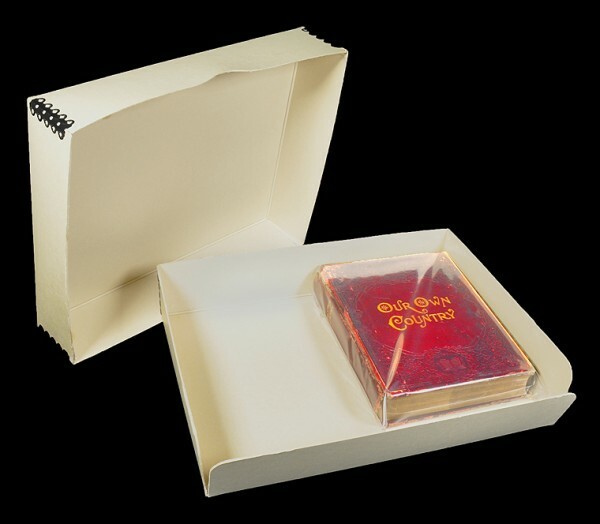 As always, it is advisable to keep the original in a high-quality archival print storage kit, or perhaps in a 3-ring print page in a well-made archival binder. Remember this light-faded photograph? Again, our advice would be to take it to a reputable photo retouching or restoration lab, have it scanned and color-corrected, reprinted for display, and then archivally store the original in an acid-free flap envelope or crystal clear bag and then place it in a 3-inch drop front box or other archival storage box of your choice. While already fragile due to the cheap paper used for its cover, the added stress of light damage makes this hundred-year-old pamphlet that much more delicate. 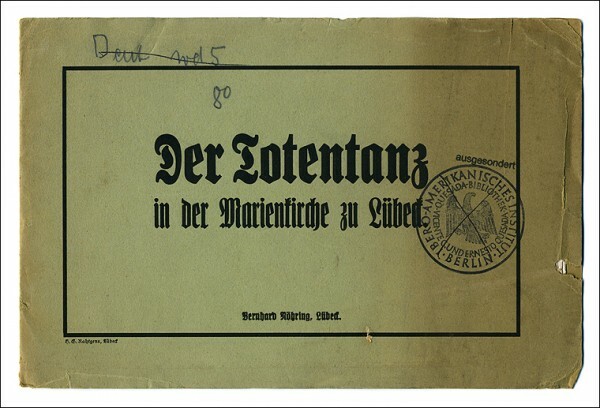 Like the book illustrated above, this pamphlet from the 1910s has selective light damage. Thin paper artifacts such as this can be stored in a variety of archival enclosures or in an all-in-one document storage kit, which includes acid-free file folders and an archival document box, thus offering two layers of archival protection from light, dust and household pollutants (please click here to see our detailed blog on archival storage boxes for document and records storage). 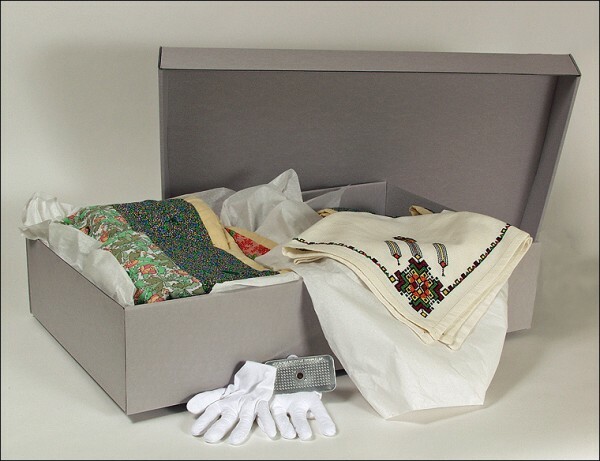 This document storage kit contains everything you need to protect all kinds of personal and family artifacts from the harmful effects of long-term exposure to light. 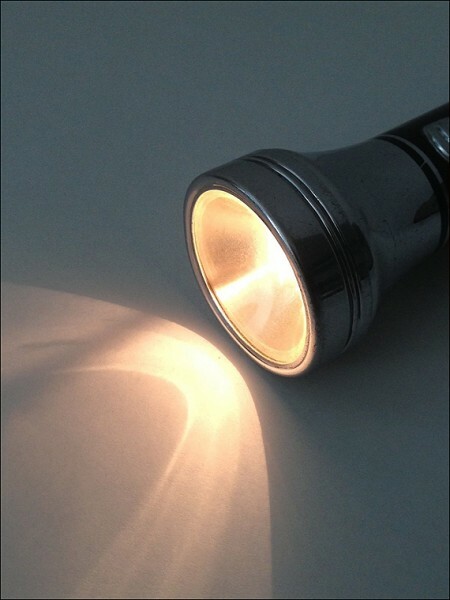 For more information on the harmful effects of light, and how major archives and museums address these issues, please see this detailed article from the Northeast Document Conservation Center. 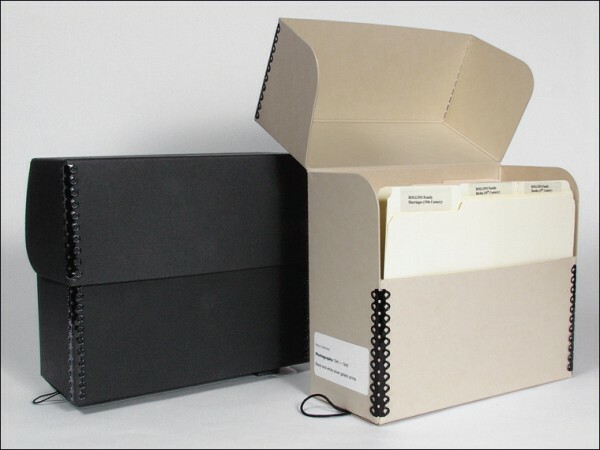 If you have any additional questions on light damage or would like more information on the archival storage and presentation materials that are right for you, please contact us here at Archival Methods. We’re always there to help with any archiving, storage, or presentation questions you may have.